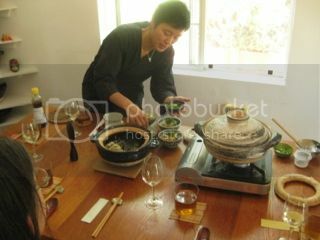 On May 4 and May 11, we hosted donabe cooking classes with the new theme, "Spring Nourishing Dishes". We had wonderful guests who brought really nice energy both dates. In this class, we made 5 different dishes with many seasonal ingredients. 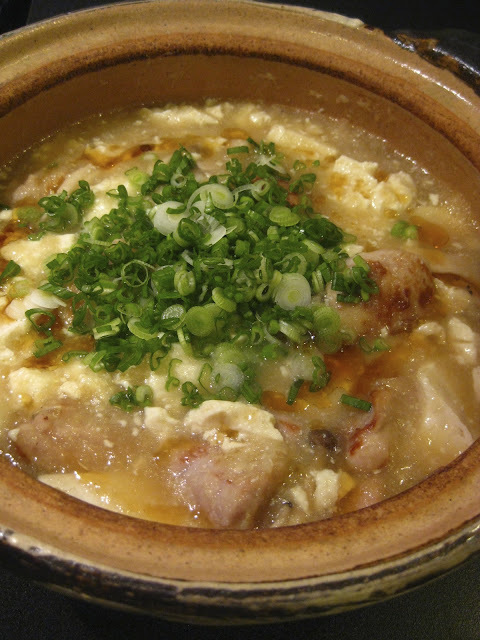 All dishes are made in donabe! 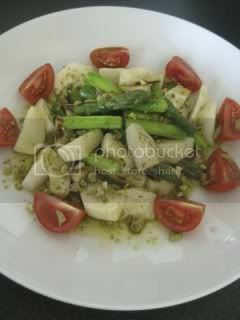 Steam-roaste kabu and asparagus with yuzu-kosho vinaigrette. 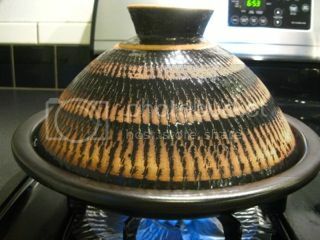 The texture of donabe steam-roasted vegetables are always so special. With the sauce made from yuzu-kosho and yuzu juice, the dish brought a nice refreshing accent. 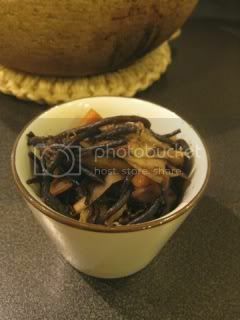 Stewed hijiki salad. We used long hijiki seaweed ("naga hijiki") in the class, and cooked with burdock root ("gobo"), dry shiitake mushrooms, fried tofu pouch ("abura-age") and carrot. 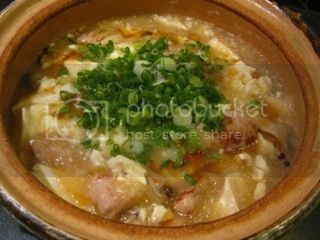 This dish tastes wonderful whether warm or cold. 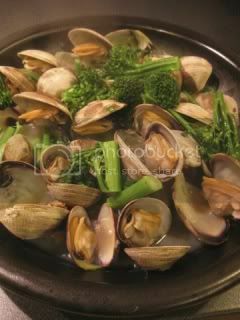 Sake-steamed clams. 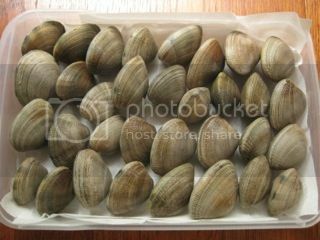 I got really big and beautiful clams which came from Washington State. 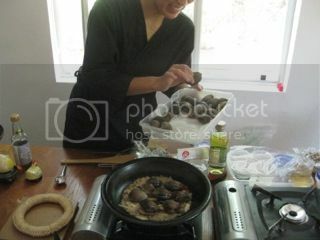 The broth was rich in sake and all the juice from the clams and finished with white soy sauce ("shiro-shoyu"). Everybody drank up the last drops of the broth! Simmered chicken and tofu in daikon sauce. 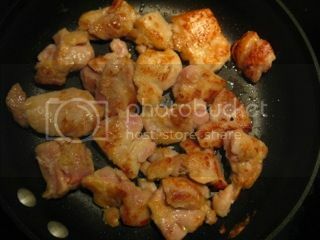 Organic jidori chicken was marinated in shio-koji overnight and pan-fried before being added to the sauce. The sauce is mostly grated daikon and a little dashi stock. 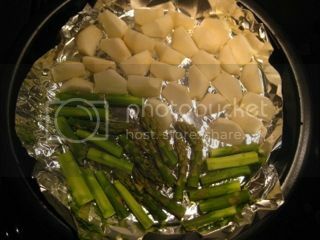 For the seasoning, I also used rice vinegar for accent. 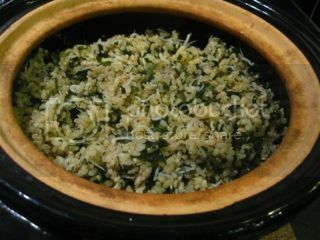 "Shirasu" baby fish and wakame seaweed rice. Very seasonal Japanese dish. 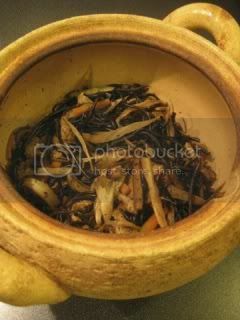 Baby anchovy ("shirasu") came from Shizuoka, Japan. The dish was finished with sliced shiso leaves...shirasu, wakame, and shiso are golden combo. 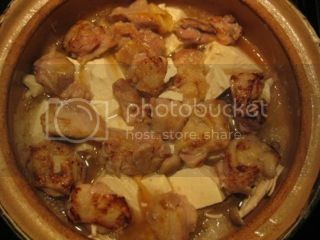 Donabe temple-style hot pot dish..."Shojin Nabe"